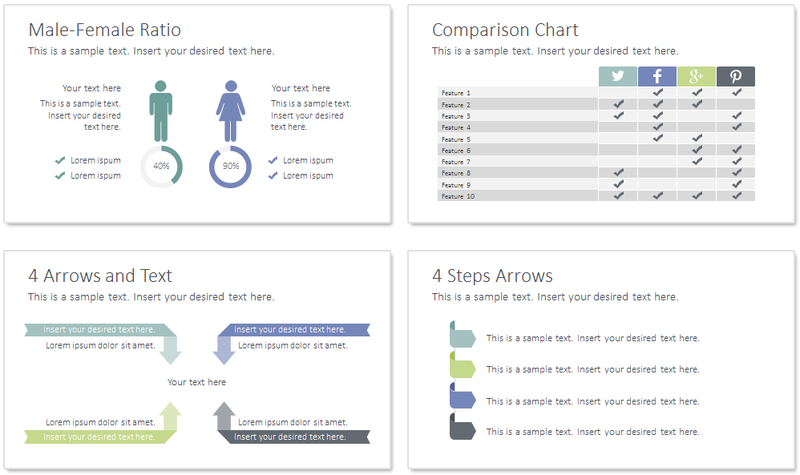 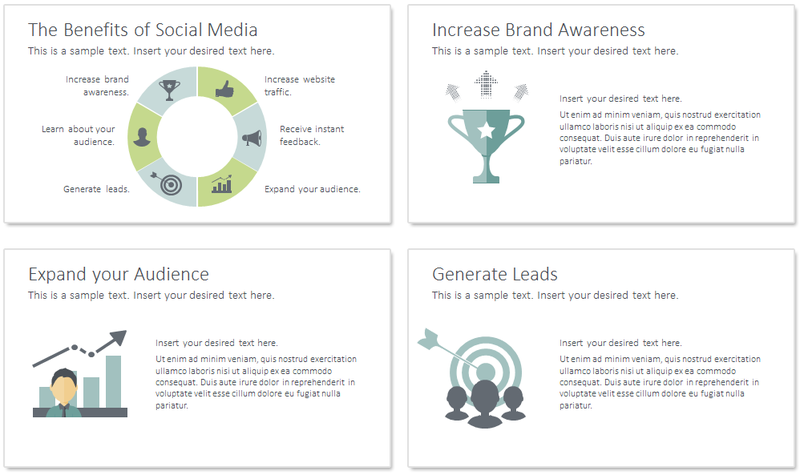 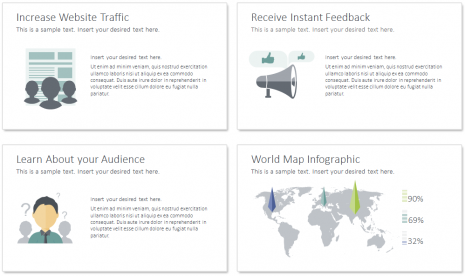 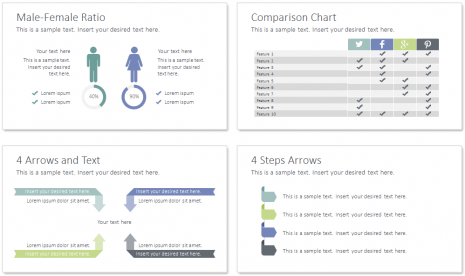 Social signals PowerPoint template containing 36 pre-designed slides including the following topics; team, services, facts, benefits of social media, generating leads, and many more handy charts and diagrams. 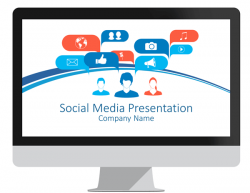 The tile slide features a clean illustration of hands holding a smartphone with social signals icons. 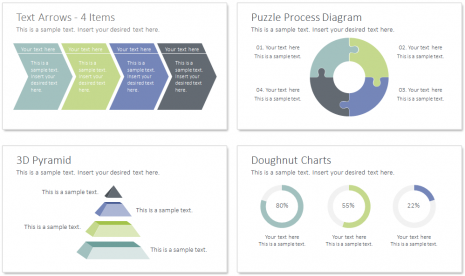 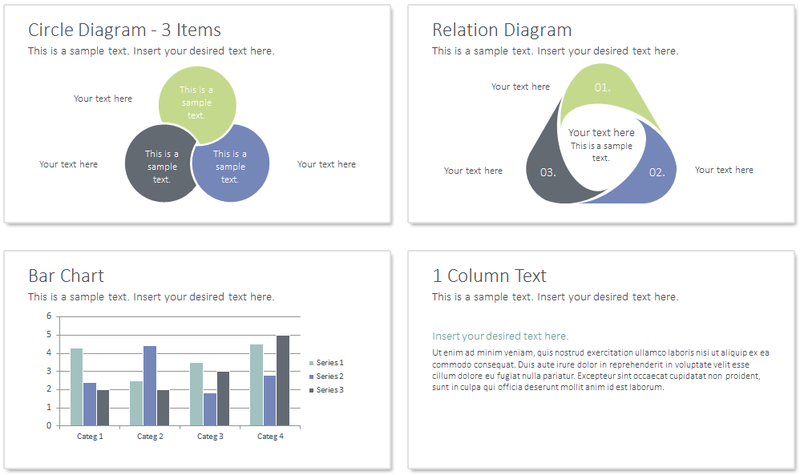 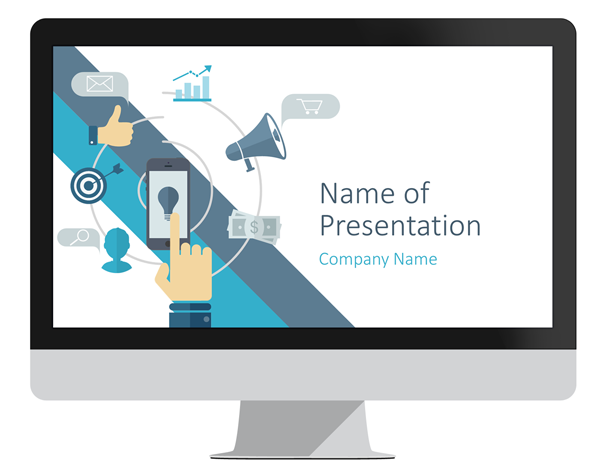 All slides (including title slide) are made with vector-based graphics and are 100% editable in the slide master view in PowerPoint. 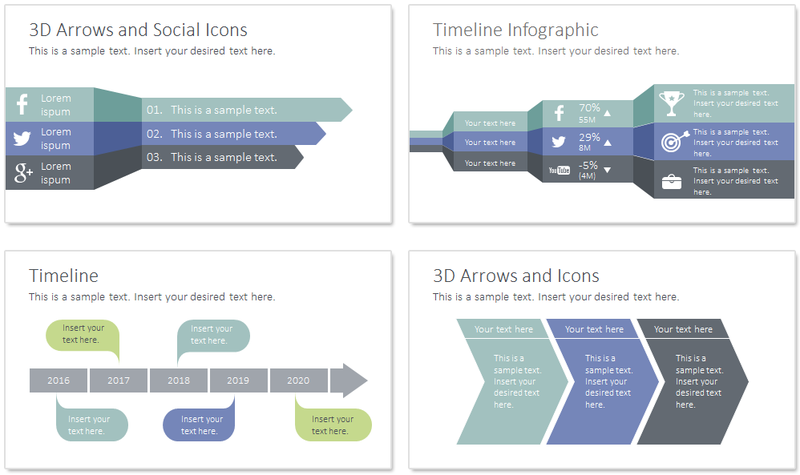 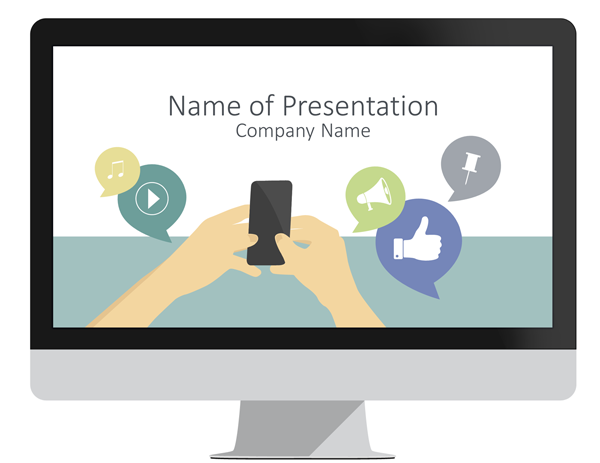 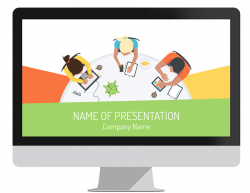 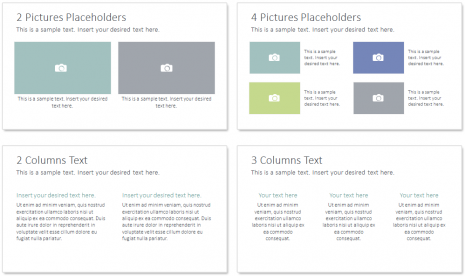 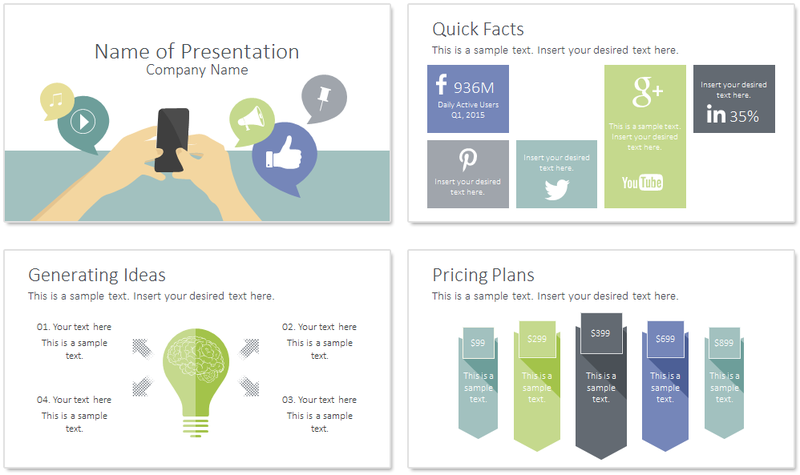 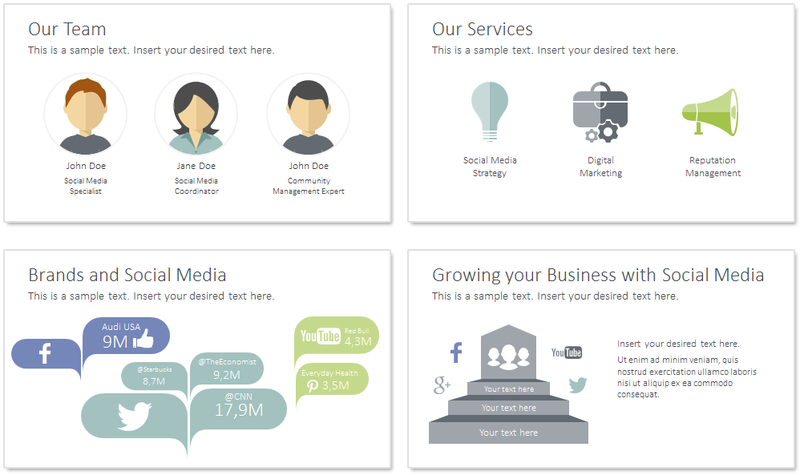 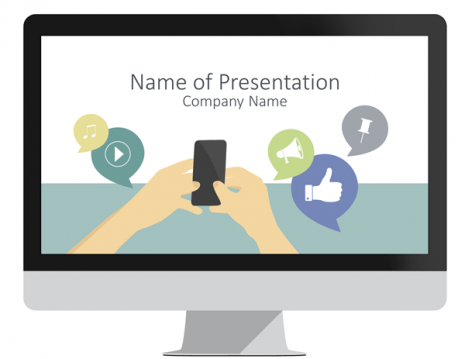 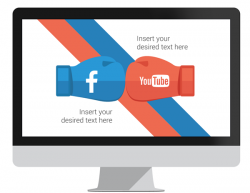 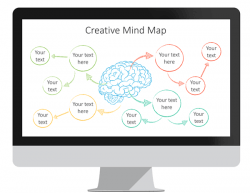 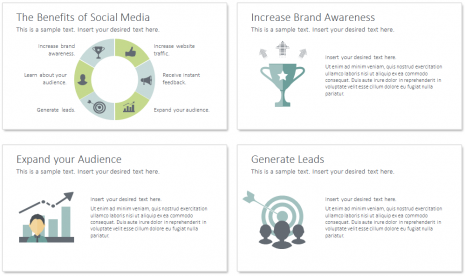 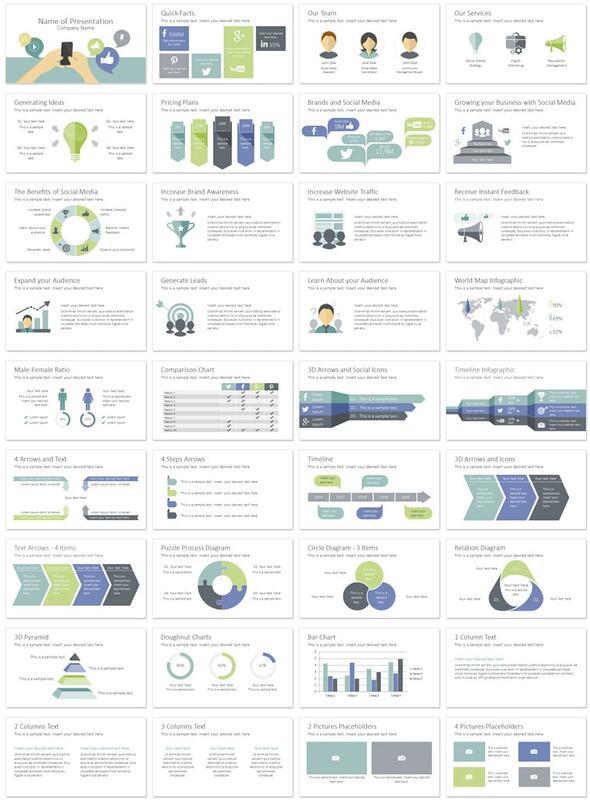 Use this template for presentations on social media, social marketing, SMO, etc.